Our group is working in the area of solid-state chemistry and we currently have a number of projects focussing upon the synthesis, structural characterisation and properties of inorganic materials, as described on the research pages. This includes industrial collaboration to use our materials in real applications. We regularly publish our results in the field of materials chemistry and its interface with physics. 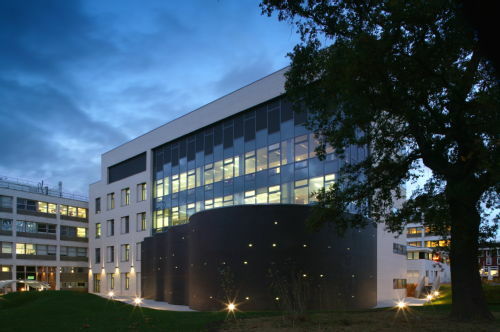 We are based in the Materials and Analytical Science Building, which provides us with state-of-the-art laboratory space for materials synthesis, our X-ray diffraction suite, and group office. The building also houses new electron microscopy facilities and a thermal analysis suite for TGA-DSC studies. In the Chemistry Department we have access to further characterisation equipment that allows porisometry and particle size analysis. If you are interested in joining the group as a PhD student or postdoctoral researcher please use the contact details to discuss funding options. We have also recently hosted visitors from various countries, including Poland, Brazil, Indonesia and China, and we actively collaborate with a number of groups in UK, Europe and beyond. This has lead to some high-profile publications concerning new materials. Inorganic Materials (Eds D.W. Bruce, D. O'Hare and R.I. Walton) Wiley 2010-2014. The 11th International Conference on Materials Chemistry (organised by the Royal Society of Chemistry) took place in Warwick in July 2013.